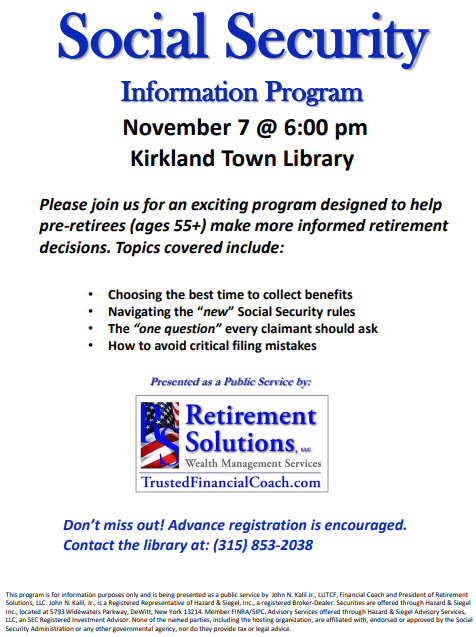 Pre-retirees ages 55 and up are invited to learn how to make more informed retirement decisions. 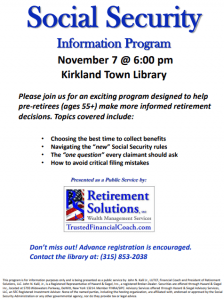 Topics covered include choosing the best time to collect benefits, navigating the new Social Security Rules, the one question every claimant should ask and how to avoid critical filing mistakes. Contact the library to reserve a space.